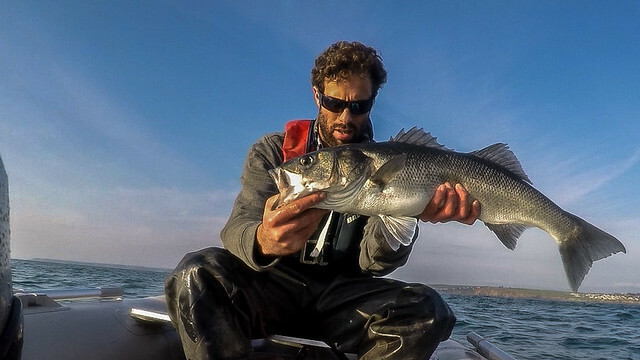 Seeing a shoal of big bass smashing bait. At first glance he really had thought it might have been the tuna we have had frequent our waters over the last couple of years. Trying to get near the shoal without spooking them before they disappeared was hard going but his dad did manage a nice 67cm fish ott and they dropped a couple bigger fish between them too amongst the action. 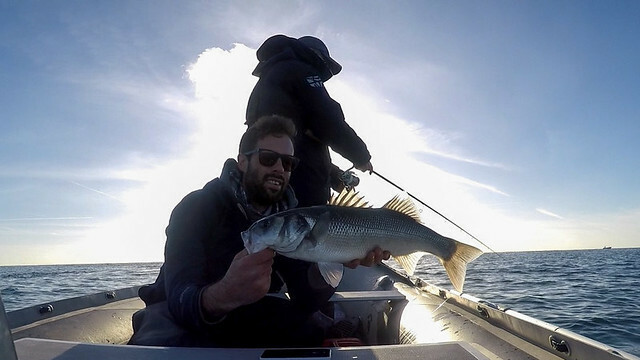 A great story, great trip, father and son style smashing some bass. Just awesome! I didn’t have a weekend free until the end of October. My first session wasn’t overly productive from memory. 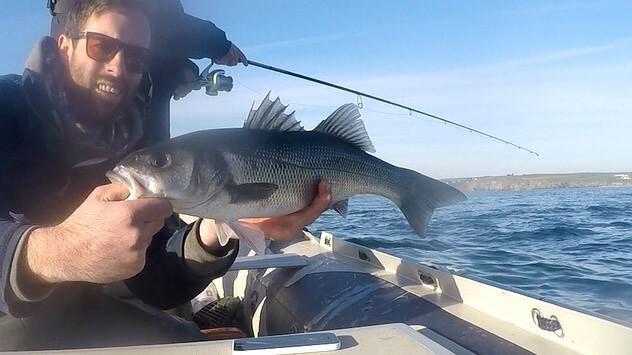 Think small tide, surface fishing wasn’t what it was like the year before but I did manage some nice Pollock and continued to put the new theory into practice pulling a few bass from somewhere I wouldn’t usually. Still I was happy to be back on the water and putting the new theory to test with positive results! 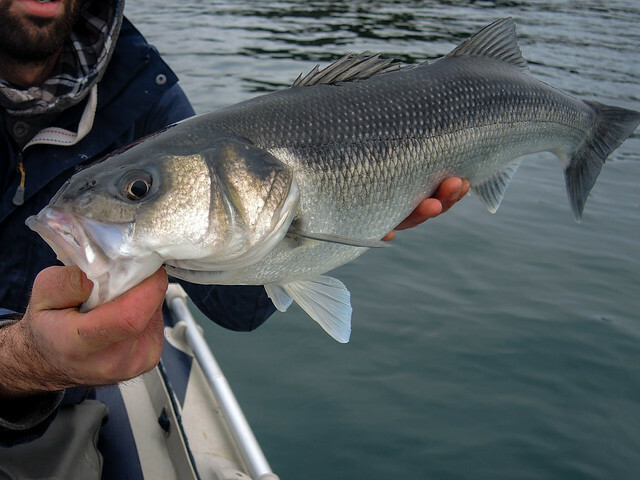 November… and more time to fish. 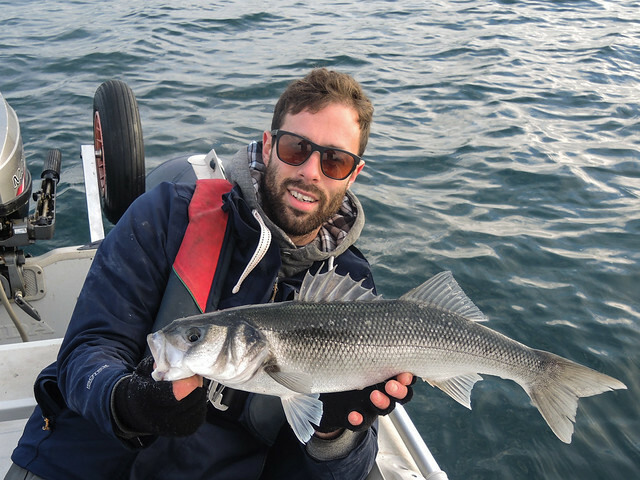 November has normally signalled the last of the good fishing for me and personally from the shore it has always gone a lot quieter. I feel they really hone in on those decent chances of feeding up before spawning. If you can find them then you have an awesome opportunity for some quality fishing. I ran out of work early one Friday to get a short afternoon on the water. You have to take any chance you can get this time of year and I had plenty to make up for. Out on my own with an ok tide and a plan in my head. It started quiet, bumping 120FBM on 20gm heads. It was blue that got the attention. I soon managed a nice bass letting the drift do most of the work just keeping the lure out of the snags. Just feeling for those tentative bites. It didn’t seem like there was much about so I had to try on the surface. The wind chop was a pain and making it hard for anything to properly work. With a few tentative single hits. I switched to cranking the Patchinko, my favoured technique in this instance. This did yield a decent fish that was trying so hard to eat the lure. For most of the retrieve, big swirls, turning, slurping. Every pause it got so close to connecting but it was either the wind chop or the movement of this fish that stopped it connecting with it in the end and it lost interest 5m from the boat. Gutting, but so exciting and you really can’t beat that thrill of watching a good fish come so close to eating your lure off the top. The tide was about to turn, more movement to the water. I waited to let it build it’s speed before I returned to my spot. Nothing doing with the 120 FBM again so I switched to my new combo the 30gm 160 shore head on the 140 FBM body. This combo in Kaki… Bigger has got to be better this time of year and has always been my thought with the arrival of larger baitfish like sprats and herring through the winter months. Well it wasn’t electric but I kept working the patch of ground. Over different holes and gullie’s sure there would be some silver lurking down there. I was rewarded with this lovely fish of 71cm which really brightened my day. Sure there was bigger I fished on… but no more silver showed. It was getting towards the end of the day and as I drifted past the ”Bass” zone and into the ”Pollock” zone I let the lure drop down just to get one last bend in the rod. Touch down, lift up quick and out of said ”snaggy AF” hole, let lure rest, little lift of the rod tip but very slow and controlled. Tiny tap, whack and boom, fish on. After a pretty comical but epic battle a new PB was landed. 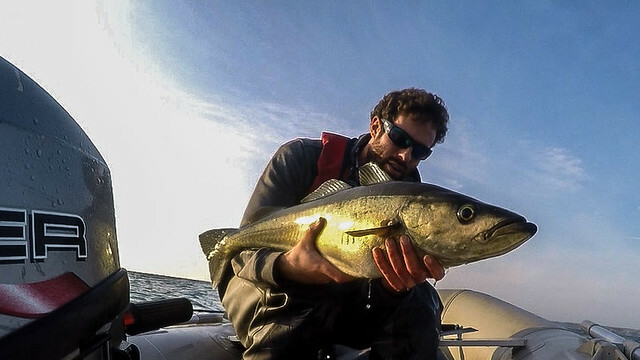 An 87cm Pollock in prime autumn condition. What a beast and my biggest fish to date on any tackle let alone my standard bass lure gear. That really did make me chuckle. I managed a fun surface session with my old mate Kory, great to see him with a rod in his hand again and out having a laugh. Tough day but when the tide came good so did the fishing. We had some crazy action for about an hour with best fish going 60cm. with plenty between 50-60cm. What was interesting was towards the end I couldn’t buy a single take yet Kory didn’t stop getting the action. He was using the small Gunfish at 95mm and that was all they wanted. I couldn’t believe it. Small patch, z-claw, 110 Austrie… nothing but that little gunfish. Literally blew my mind… and really wasn’t a case of luck. He’d cast over where I cast and caught fish. Instantly. Hilarious! I managed to get Mark out with me to show him what I’d been up to. It was another slow day on the water and once again the tide wasn’t with us. But it was good to show him. It also proved it’s not as simple as it sounds. Why isn’t my lure on the touching bottom? why am I snagged again… finally he got the hang of it through the day and managed some fish but it wasn’t easy. The fishing was slow but I did manage a couple nice fish. Next it was Toms turn to come out again, we started surface fishing the shallows and found a couple pockets of fish but that was all. The action was very isolated. We did spot some pretty small baitfish on the surface here though and I thought that was odd considering it was nearly December. We moved about and tried a few favourite spots but it really wasn’t happening. More like a usual Novembers day I guess??? We moved to fish my patch with soft plastics. The tide hadn’t really got going at all yet and seemed to still be running the other way. The boa was pretty much stationary with wind against tide and I was happily fishing my 150 Crazy eel with 16gm Savage gear weedless head. Feeling around casting at the different features and fishing it sink and draw back. I kept getting little taps on the drop. Now my reactions here have never been so slow. It must have been a good 2-3 lifts before I finally managed to time hitting a bite on the drop. 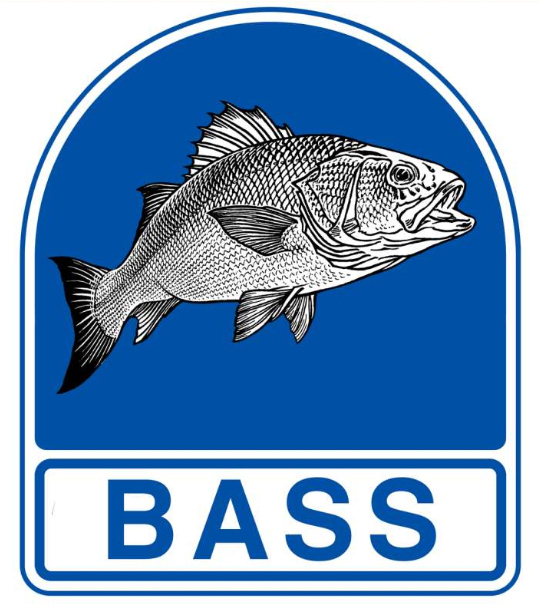 The result was the best bass of the day. 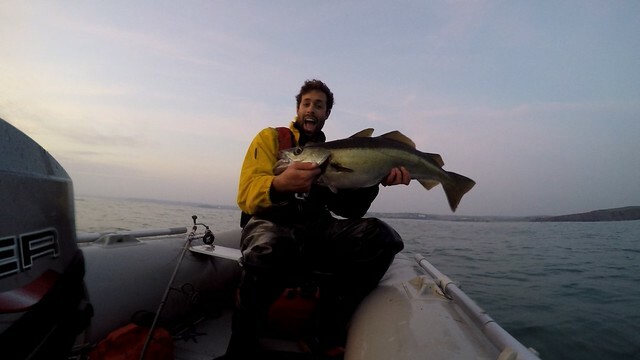 We did manage more small fish as the tide picked up but our time was cut short as the light faded on us. I was really pleased to be able to get out as much as I could in November and happy with the results. The surface action was poor though and I really felt like I had missed out on all the fun we had in October the year before. The elusive double of the top is still a far distant dream for now… but then came December and winter! 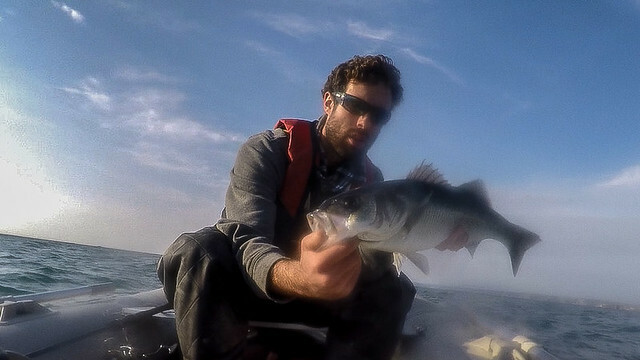 This entry was posted in The Fishing and tagged Bass, Boat, Fiiish, Pollock, SIB. Bookmark the permalink.